Bunny is hopped up on Chocolates (or so she claims) while Alissa is sneaking into the basement to break into the stash of Bunny Water while nobody is looking. And now on to some good old fashioned fun and AWWWWwwwwwwwwww moments. For those of you that do not know us Addicts very well….yet….here is a peak into a bit of our real lives with our favorite Christmas Moments. Now, for my serious awww moment. I have lost many family members over the past few years. 19 in total. Not many of us left now (siblings, Mom, 1 Gramms), so holidays can be a bit rough. Out of all of them, I have been effected most by the loss of my Father. He always called me Christmas Day. It was his tradition with me. We had a falling out and didn’t talk much anymore, so this day was very precious to me. To get that call, hear his voice, and share our laughs (got my humor from him). He was also the one to pick out the fresh Christmas Tree for my family. So in losing him…well…I lost the love for Christmas. Bah Humbugged over it for many years. Didn’t want to even celebrate it. Stopped putting up decorations, making goodies, or even making an effort to do anything Christmas. This of course didn’t stop me from giving to others, just… kinda forgot about myself. This all changed last year. A very dear and kind friend close to my heart did the most amazing thing ever. Hearing the story of my heartaches, they wanted to help make last year a fresh start. Bring the Love & Joy back into Christmas for me. First, a real tree showed up. First one I have had in a long time. I was overjoyed. What a sweet thought. It was beautiful. Made me tear up. Next…the most amazing thing possible anyone could do for me… My Dad owned beautiful guitars. Acoustic and Electric. Played and sang very well. I had one of his until I left home at a young age. I was never able to get it back. Even after he was killed. It saddened me because I loved to play because of him, but gave up. Just was too hard. Short story Long…this kindhearted friend, after much research, purchased a guitar that resembled the one my Father had and sent it to me for Christmas. I couldn’t speak when it arrived on my doorstep. Tears of such a magnitude I can not even describe rolled down my eyes when I opened it and didn’t stop (yes, even this silly crazy Bunny cries for real). For someone to do something so kind, thoughtful, and generous…it takes my breath away. I won’t ever forget that Christmas. Thank You SBE!! This year Alissa, my bossum buddy (yah, I just said that. Lol) well she won’t let me get away with being down at this time of year either. She calls to harass…err…check up on me all the time. Being that pain in the arse that I love and adore. It is so amusing how someone you meet online can become as close to you as any family member ever could. She does so much for me, sometimes by just doing nothing at all. She is like me in many ways, gives right from the heart. Wants to just give and give and give to others. All about everyone else. Nothing for yourself. I think it is why we blend so well together. Wow my favorite Christmas memory. You know, honestly, I can’t say I have 1 particular favorite memory. I guess you could say I’m extremely lucky. I’ve always had amazing Christmases. From a young age I remember my parent’s house being decorated over the top with Christmas. We had Christmas trees in every room…each with a different theme…Christmas dishes, decorations EVERYWHERE and the best Christmas lights outside. (if you’re wondering where I get my love of Christmas from…this could be it! :)) And Christmas morning…well Christmas morning was (and still is) always magical! I’m extremely blessed to have such a close family. We all celebrate Christmas together (even as we grow older). We open presents together Christmas morning (we never started until everyone was awake and downstairs), have breakfast together and just enjoy being together for that 1 magical day (yes I know very Brady Bunch!) And of course Christmas was never complete with out watching…the best movie ever…It’s A Wonderful Life. A Christmas tradition I won’t dare let my mom forget about! Now that we’re all older, and my siblings have little ones the Christmas magic is still there. It’s the most amazing thing to see my nieces and nephews light up Christmas morning (yes we all spend Christmas morning together) when they realize Santa came! It’s like reliving my childhood all over again! So to say I have 1 ultimate Christmas memory is essentially impossible for me. Because each and every Christmas has provided me with so many great memories and “warm fuzzy feelings” that to pick one is like trying to pick a favorite child….you just can’t do it! (although I totally know I’m my mom’s favorite!) Like I said earlier…I guess I’m just lucky because for me every Christmas is magical! So from our hearts and homes to yours, may your Holidays be filled with happiness and joy!! Be warm, be safe, and be happy!! p.s. Don’t forget to log into your games today (12/25/14) for a VERY Special Gift From TinyCo too. FREE CLAMS!!! This entry was posted in Family Guy Addicts and tagged Addicts Holiday Break, Christmas Phase 3, Family Guy Addicts The Quest For Stuff, Family Guy Tips and Tricks, Festive Christmas Tree, Free 25 Clams from TinyCo, Jesus, Merry Christmas Addicts, Miracle on Spooner Street, Nativity Scene, Yeti. Bookmark the permalink. Hey Merry christmas to Alissa and Bunny. Im a little late but better late than never. Just wondering here but i got all the main prizes from the box that cost 1000 christmas cookies (sorry forgot the name) and it disappeared. I’m guessing it probably should (so that tinyco isnt giving away too many clams) but now i have unlocked santa and i got 100,000 free cookies. If i could use those cookies for that box i would be so happy. Basically my question is, is that box supposed to disappear after i got all the main prizes? Box disappears after you get all the main items from it. Hope that helps! Yesterday I watched all 3 die hard movies (I know there are 1 or 2 others but I only have 1-3) in 1 day then watched the Lego movie. I got 90$ for Christmas gonna spend like 70 of it on family guy quest for stuff to get gene and paul (and other things) Merry Christmas Alissa and Bunny (and other awesome addicts)! Hello “Team Addict’s” I happen to be a tried and true Family Guy addict since way before the game was even a twinkle in the eyes of the great creators over at TinyCo. I was even one of the 1000’s of people who petitioned the FOX Network to bring it back after the wise ones over at Adult Swim on the Cartoon Network started playing old episodes in syndication. Anyway now more to the point of this email I own every episode on dvd and I also happen to have a degree in Computer science and Information Technology, I’m also disabled and was wondering if you folks have any job openings for a writer/ Web design / Maintenance person who has tons of free time and can work from home. Thanks for your consideration. 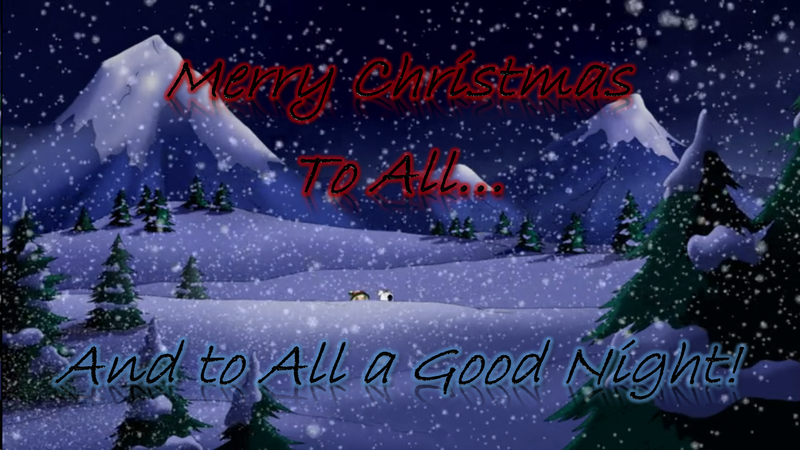 Merry Christmas to one and all from here in the UK. it’s the very end of my christmas day as i read your stories. no shame in my saying that tears fell as i read bunny’s, and i easily recognized my wife’s family in alissa’s tale. what a great season this is, when for no reason other than good will, we share our spirits with each other. Thanks, i enjoyed that. after a day of gifting, eating and drinking, guitar playing and singing, and FG,TQFS, of course, this was a pleasant dessert. This year will be my best Christmas so far. I just welcomed my first child, a little boy named Magnus, in October. The holidays have a whole new feeling for me now. I can’t wait to start new traditions with him and my husband. I, too, plan to relive my childhood through him! Wonderful to hear both of your Christmas experiences; I hope you both had equally magical experiences today. Although I fancy myself a Buddhist, my experience of Christmas has always been much like Alissa’s. It has always been full of holiday traditions near & dear to the hearts of those I love & myself as well. This year proved to be equally so. Best wishes to you both, all of the addicts family & our friends at Tinyco who lived up to their promise to put out an event update on Christmas Day & even provided us with an stocking full of festive gifts. 🙂 Merry Christmas my friend! I am not entirely sure this is the proper place to ask this but here goes. You guys seem to be able to get ahold of tinyco when us little people cant. I just finished Santa’s wish list, however; I did NOT get Santa as it stated. I did however get a whopping 100,000 (yes one hundred thousand) Christmas cookies and like 25 clams. Is that supposed to happen? I really don’t see why they would be that generous with those since they were not nearly as generous with the Halloween fright bottles. I do not want to be accused to abusing the game if it is a glitch. So I was hoping maybe you could get an answer from them. I have NEVER been able to get a response from them regarding any issue I have ever had. KISS is in the house! not even six hours into the last part of the event and I’m almost done with everything kind of a pathetic last part of the event but will help me catch up on other parts of the game overall Christmas was a great event!!!! Merry Christmas to both of you and thanks for your hard works!! Merry Christmas to Alissa and Bunny! 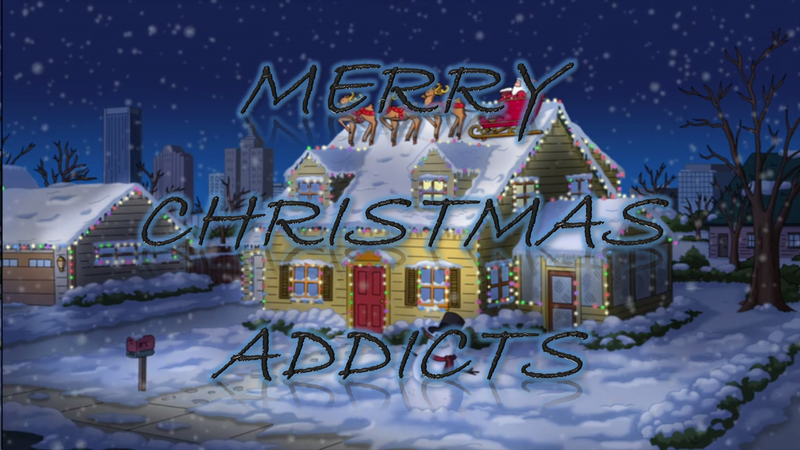 And another merry Christmas to all my fellow addicts that celebrate the holiday! I hope Santa was good to everyone this year! Merry Christmas to You Both and to TinyCo and All their Employees that make this such an AWESOME Game!!! P.S. Thank you for the gift of clams! Merry christmas everyone! I am going to share my funny christmas moment of the year. Yesterday I brought a gift bag home from work that said ho ho ho all over it and my 5 year old saw it and started reading it. This is what he said, ” ho ho ho ho ho, man thats a lot of ho’s, theres ho’s all over this bag!” My husband and I started laughing and when he asked us what was funny I told him that ho also means something else and that he would find out when he’ older. Sinse I wouldnt tell him what the other meaning was, he came to the conclusion that it was something scary and said “well im glad there aren’t a bunch of real ho’s on that bag because that would be scary!” Maybe you had to be there but I laughed my a** off hearing a 5 year old go on about all those ho’s. Did anyone else have their 25 clams not register after clicking the button? 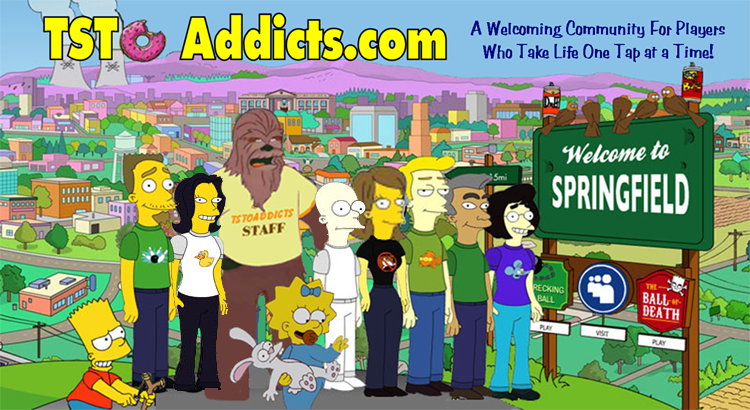 (((((hugs))))) Thank you both for your generosity and the cheer you bring to us Addicts all year. Now if you’ll excuse me, something got in my eye,..both eyes…and I am *not* crying after reading this post. Merry Christmas to all and to all a good year ahead! Please help. 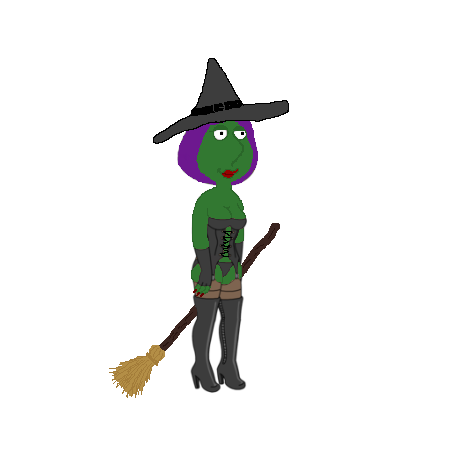 I unlocked the mutant elves but it disappeared from my inventory. Now the reindeer challenge (the last challenge I need to get the big prize) is not visible and no quests popping up please help. The elves run around your town and they’re really hard to see. The last challenge doesn’t trigger until you’ve got Angel Bruce..
That’s not lame…believe me. That’s awesome! I’m so happy you had that great Christmas miracle 🙂 Hope you had a great day! Merry Christmas Everyone! I hear that Tiny Co is going to be adding KISS to the game. Now if I only could login without it crashing on the title screen? HUGS! To both ladies, especially Bunny. Windows is a new pickup for TC. So it could just be some “growing pains” glitches with the platform. To everyone at TinyCo, and to you Bunny and Alissa, thank you so much for your kindness and for being there throughout by helping us with our game and for everything you’ve done. Have a very Merry Christmas and a healthy, joyful, and a prosperous 2015!! Merry Christmas, Alissa, Bunny and fellow addicts!!! Merry Christmas you guys… thanks for all of your help and tips. Merry Christmas! That was a very nice surprise to wake up to. Between all the bonuses, I’m already back up to 180 clams after going down to nearly zero to get John. I think this is a good amount of premium currency to give out, so while freemium players can’t get everything (we really shouldn’t be able to get everything without spending money), it doesn’t feel like there’s a paywall separating us from the fun.